Stories of enduring friendship are always a Hollywood hit, quite possibly because they are quite rare. This is particularly true when coupled with business. 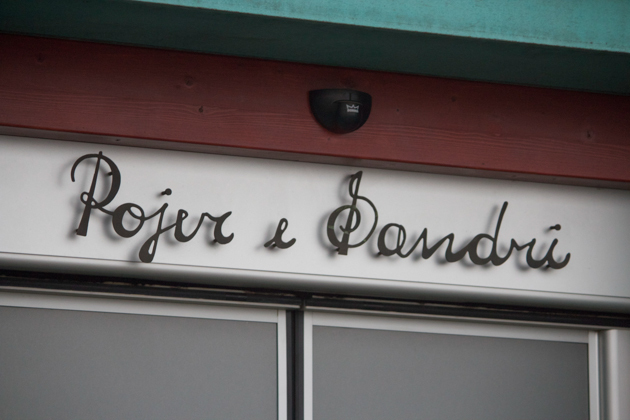 Pojer e Sandri’s story is more like that of a Silicon Valley hi-tech start-up out of a student’s parent’s garage rather than a veritable Italian winery. 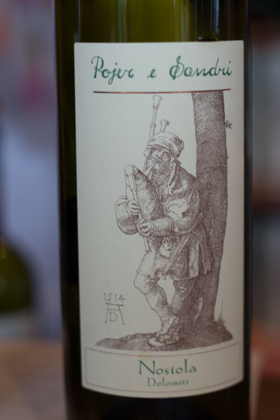 In 1975 Pojer e Sandri was started by two friends, Fiorentino Sandri and Mario Pojer in Faedo, Trentino. 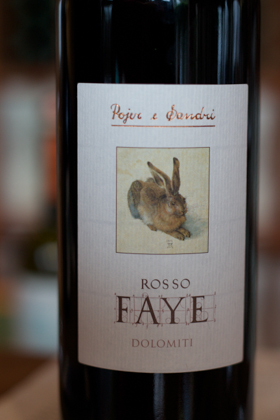 Pojer had just graduated with an enology degree from the Istituto Agrario di San Michele all’Adige, a well-known local wine school and Sandri’s family owned 2 hectares of land between Valle dell’Adige and Valle di Cambra. 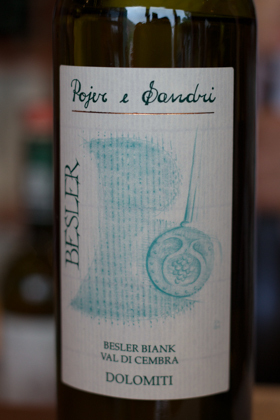 The two friends began making wine from the grapes grown on Sandri’s land and distilled grappa in Sandri’s mother’s house. 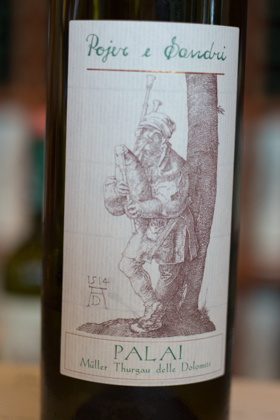 Their first wine was Palai, a white wine made from Muller Thurgau grapes, which was a great success and demonstrated their expert winemaking ability and the potential of the Faedo area for winemaking. 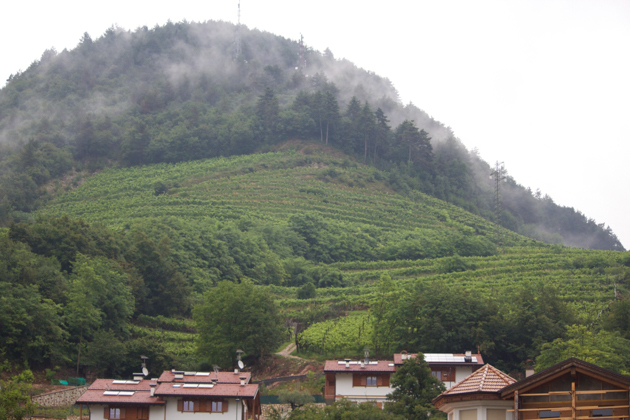 Muller Thurgau grows well in this area and their best vineyard is on a steep mountain slope facing the winery. 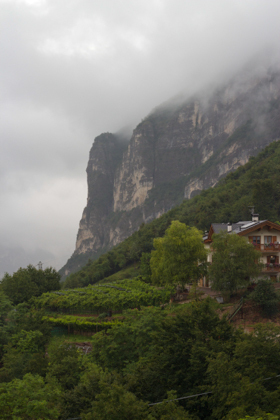 These grapes grow at dizzying heights of 550 to 750 meters and must be handpicked as tractors cannot make the incline. 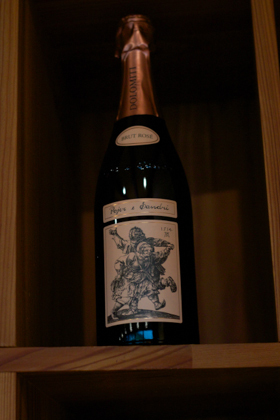 They say that the height gives the wine its minerality. Pojer e Sandri next tried Chardonnay and then Nosiola grapes. In 1993 they purchased more vineyards in Val di Cembra to make a blended white (Besler Biank) and a blended red (Besler Ross) wine. 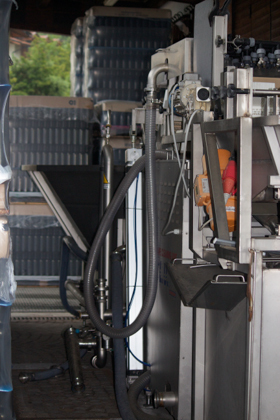 The winery grew over time to the 26 hectares it is today, adopting new methods (such as the Guyot system) and technology (such as vacuum pressing) along the way. Their propensity to experiment is evident in the wide variety in styles of wines they produce: sparkling white, sparkling rose, still white, still rose, red, sweet and fortified. 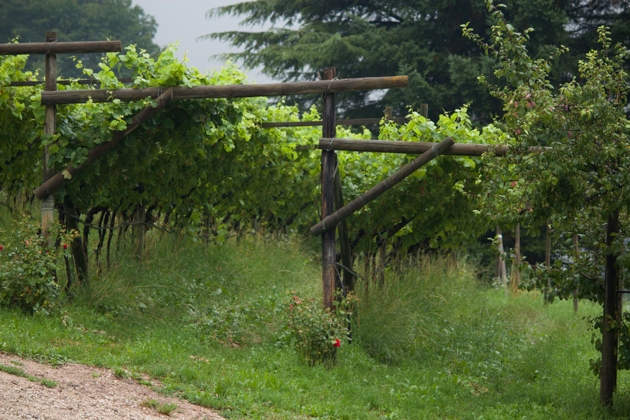 They also grow a wide variety of French, German and Italian grapes which include: Chardonnay, Savignon Blanc, and Pinot Blanc for the French whites; Traminer, Riesling, Keiner, Muller Thurgau for the Germanic whites; Incroce Manzoni and Nosiola (the only remaining native white grape variety in Trentino) for the Italian whites; Merlot, Cabernet Franc, Cabernet Sauvignon and Pinot Nero for the French reds; Rotberger, Zweigelt, Franconia for the Germanic reds and Negrara Trentina, Groppello, Schiava, Lagarino and Lagrein for the Italian reds. They produce 250,000 bottles a year. 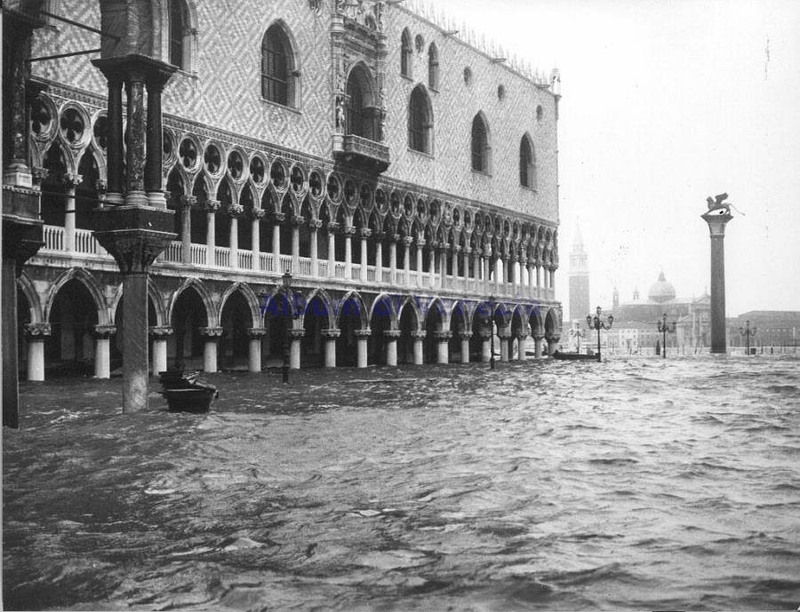 We are given the tour by Elisa Sandri, Fiorentino Sandri’s daughter. 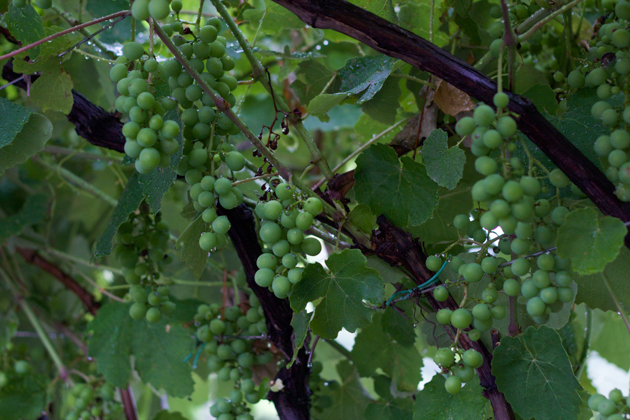 The grapes are handpicked into 25 kilo baskets and are then are washed in acidulated water and dried. 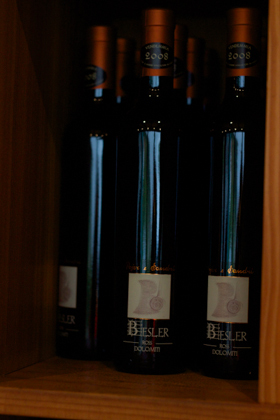 They are moved gently by gravity and pressed in a vacuum so that sulfites are not necessary. 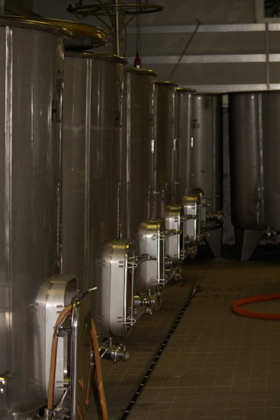 The wine is then fermented in tanks. 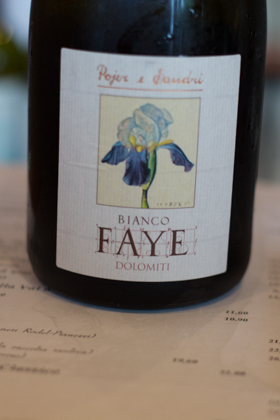 The blended Bianco Fay white wine, the Pinot Noir and both the blended red wines (Rosso Fay and Besler Ross) are aged in French oak barrels made by an Italian barrel maker for 1 year. 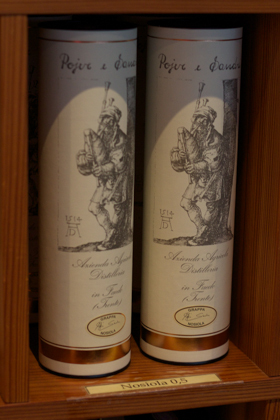 Sandri e Pojer are well known for the quality their grappa. 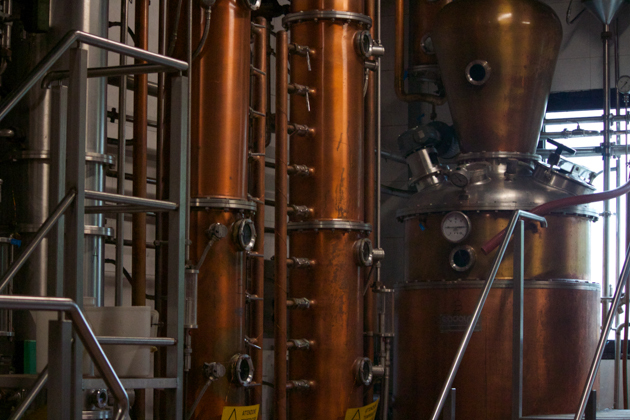 In 1982 they built a distillery to make the grappa and fruit eau de vie first from cherries and apricots. 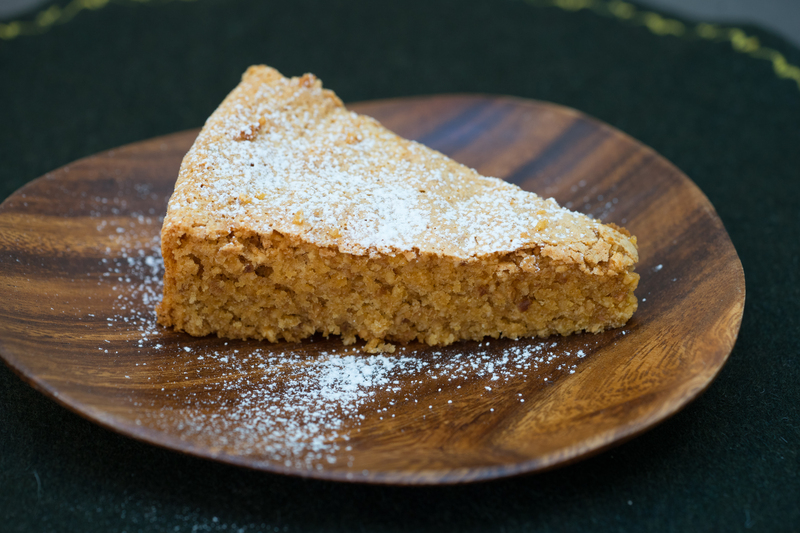 Later they started also using local fruit and flowers such as quince, raspberries, blackberries, black currants, apples, plums, rowan berries (sorbo), pear, elderflower and gentian. They produce the grappa from the freshly pressed grape skins after carefully removing any stems or seeds which may make the grappa bitter. The skins are pressed within 10 days of picking under vacuum. They also do not add any sugar and the grappa is all natural and pure as its only additive is local spring water. 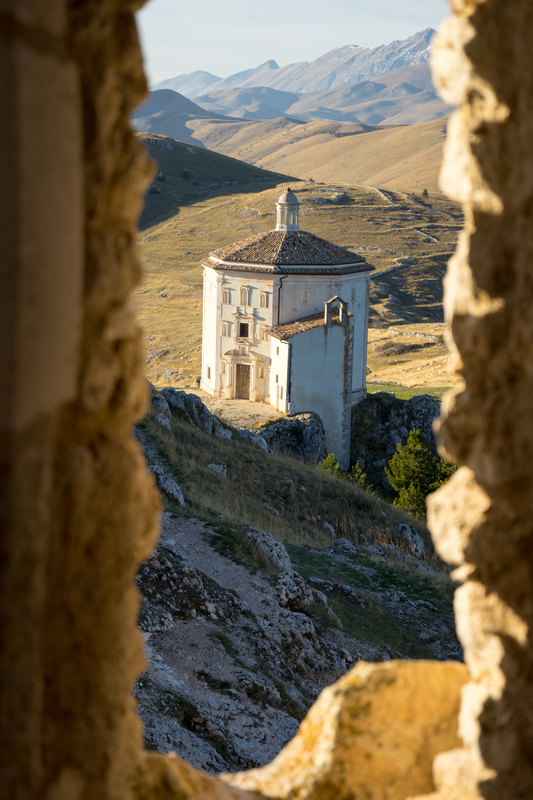 Carrara marble is used in the filtration process to reduce unwanted sulphurous aromas. 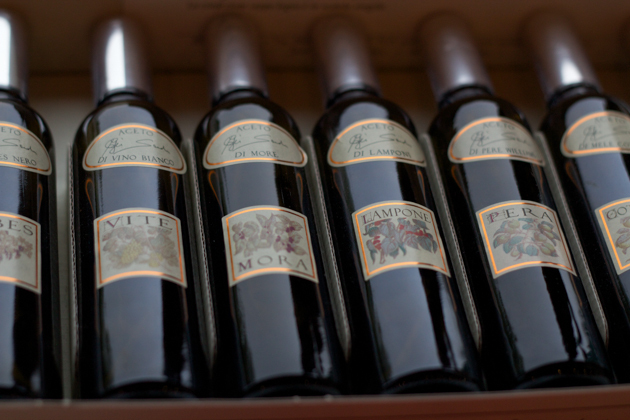 Pojer e Sandri produce 10,000 bottles of grappa per year. 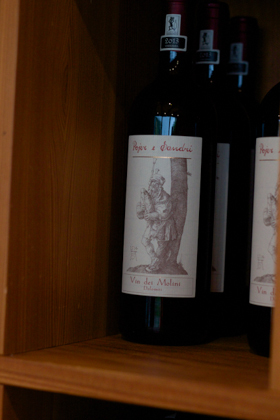 The grappas are made from the same single varietals as the wines and the same blended wines. In 1986, after a trip to Cognac and Armagnac, they started making brandy (known as grappa invecchiato meaning “aged grappa” which was uncommon as previously all grappas were clear) from Schiava and Lagarino based wine. The resulting brandy, labeled as Divino, was aged in barrique for 10 years and was an instant success. In 2003/2004 they began making sparkling wine and created a fortified dessert wine called Merlino by marrying their Lagrein red wine with their aged Divino brandy. They also make several types of vinegar from their wines, several types of fruit including: blackberry, cherry, pear, raspberry, quince, black currant, rowan berries (sorbo) and elderflower. Recently Pojer e Sandri have opened a 5 apartment agriturismo called Maso Besleri where guests can stay and enjoy the vineyards. 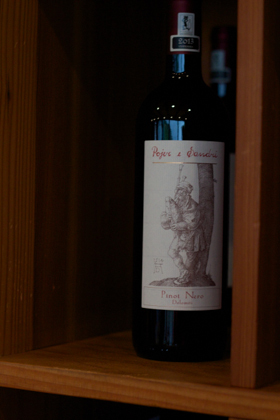 Pojer e Sandri make sparkling wines, several white wines, rose wine, red wine and sweet wines as well as grappa. Their real stars are their Pinot Noir Rodel Pianezzi, Bianco Fay, Muller Thurgau and their grappa. All their wines are declassified. This is a dry sparkling wine made from 35% Pinot Noir and 65% Chardonnay grapes using the champagne method. 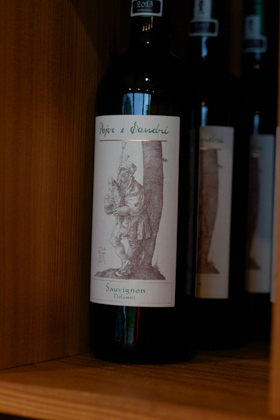 The still wine is aged in wood and the secondary fermentation lasts 30 months in the bottle. They make 5,000 bottles every 2 years. The rosè version of their Cuvee Extra Brut sparkling wine. 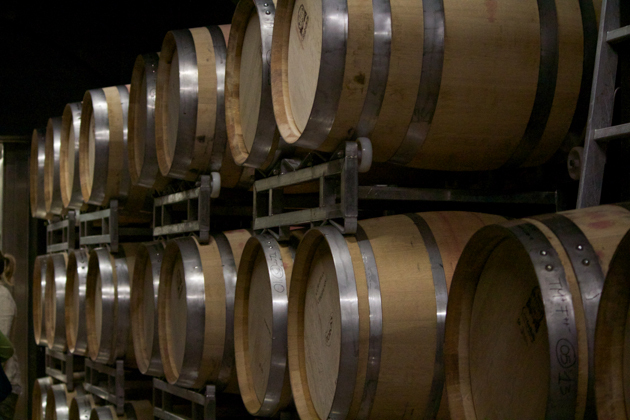 The Pinot Noir is aged in the oak barrels used to age the brandy Divino. The secondary fermentation in the bottle lasts 18 months. They produce 15,000 bottles per year. This is an organic sparkling wine made without added sulphur, yeast or anti-oxidants and is not filtered. Made of 100% Muller Thurgau. We really liked the 2013 vintage of this wine. It was quite light and tasted of green apples, peach and lemon. They make 40-50,000 bottles per year. Made of 100% Chardonnay aged in steel. They produce 13,000 bottles per year. The 2013 vintage we tried had good acidity. They produces 14,000 bottles per year. The 2013 vintage we tried had a classic floral lychee flavour and would pair well with some Asian foods. Made from 100% Sauvignon Blanc aged in steel tanks. They produce 10,000 bottles per year. This wine is a blend of Riesling Renano, Sauvignon, Incroce Manzoni, Keiner and Pinot Bianco aged for 6 months in oak and acacia barrels. We very much enjoyed it at our tasting. They produce 12,000 bottles per year. Pairing: seafood and white meat. We thought this wine was very good.It is a blend of Chardonnay (90%) and Pinot Bianco (10%) which has been aged for 6 months in oak. They produce 8,000 bottles per year. 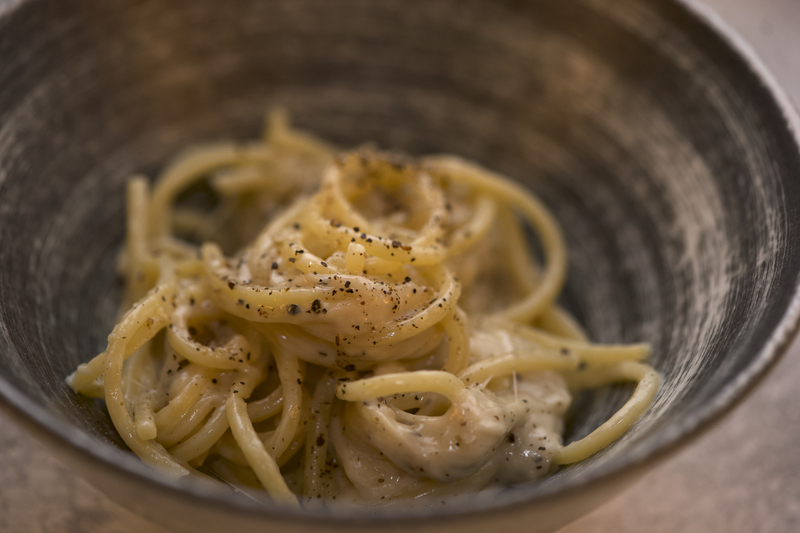 Made from a blend of Riesling, Muller Thurgau, Kerner and Incrocio Manzoni. This wine has a very low level of alcohol (9.5%). 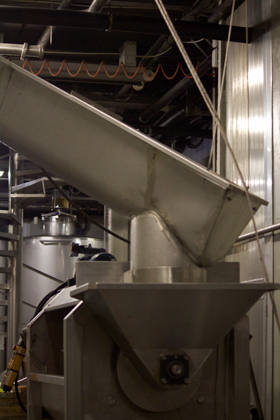 They produce 10,500 500 ml bottles per year. This rose wine is made entirely from Rotberger, a vine variety that exists due to German vine breeding to maximise the colour; a hybrid of Schiava and Riesling Renano. They produce 8,000 bottles per year. This wine is made from 100% Pinot Noir grapes and is tank fermented. They produce 20,000 bottles per year. 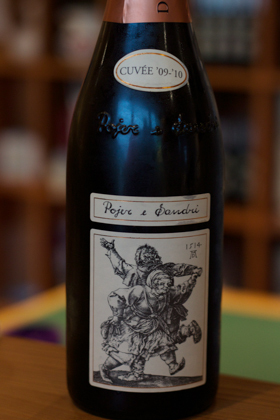 Pojer e Sandri are noted for their Pinot Noir which is only grown at 600 meters of altitude and higher on Burgundy cloned vines which are more than 25 years old. 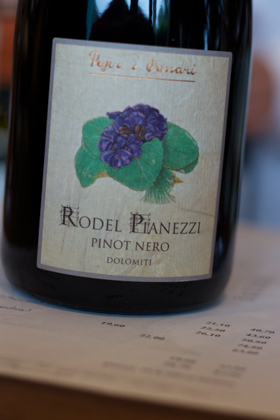 This wine is made from the best of their Pinot Noir vines grown in the vineyards named Rodel and Pianezza. It is aged in wooden tanks and then aged in oak for 1 year. They produce 5,000 bottles per year. 2010 and 2013 are said to be their best vintages. Made from a blend of 50% Cabernet Sauvignon and 50% a mix of Merlot, Cabernet Franc and Lagrein which are fermented in wooden tanks and then in French oak for 1 year. They produce 7,000 bottles per year. Made from a blend of Pinot Noir, Zweigelt, Franconia, Negrara Trentina and Groppello aged in French oak barrels for 1 year. They produce 6,000 bottles per year. 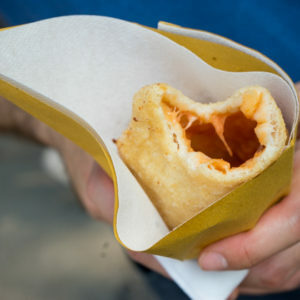 Made from Lagrein wine and their Divino brandy. The produce 14,000 500 ml bottles per year. 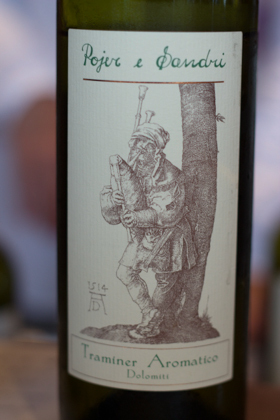 This is made from botrytized Chardonnay, Traminer Aromatico, Sauvignon Blanc, Riesling Renano, and Kerner grapes. 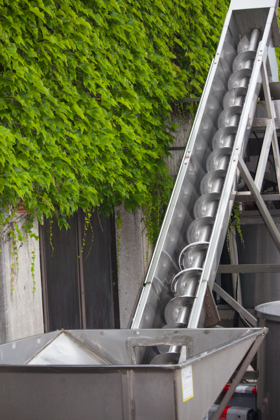 They produce 7,000 half bottles per year.